New Zealand’s mountain monarchs: unlocking the secrets of the Himalayan tahr in New Zealand a personal odyssey from hunter to filmmaker. A century ago, a little-known, exotic animal, the Himalayan tahr was introduced to New Zealand for big-game sporting purposes. From a few releases at Aoraki Mt Cook, tahr are now permanent inhabitants of the sub-alpine zones in the central Southern Alps. This book documents their ecology, lifestyle and unique behaviour, both in New Zealand and in their homelands. Antelopes, deer and relatives: fossil record, behavioral ecology, systematics and conservation. Artist/Author: Vrba, Elisabeth S. and George B. Schaller. This title is not held in stock but we are happy to supply on special order. Please contact us. From the era of early cave paintings to the present time, ruminants have captured the human imagination. 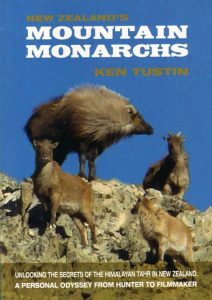 This book is a discussion of the evolution, biology, relationships, and conservation of this ecologically important group of mammals., From the era of early cave paintings to the present time, ruminants – deer, antelopes, cattle, buffalo, goats, giraffes and their relatives – have captured the human imagination. Present on every continent except Australia and Antarctica, they have also been more important to human subsistence than any other mammalian group. This book is a discussion of the evolution, biology, relationships, and conservation of this fascinating and ecologically important group of mammals. Eminent authorities from around the world have contributed to this book on ruminants, integrating information from palaeontology, molecular and population genetics, anatomy, morphology, and field studies of behaviour, ecology, and the effects of climate change. Also covered are the genetics, morphology, and behaviour of the saola (one of several new species recently found in the Annamite Mountains between Laos and Vietnam) and other survivors from isolated and ancient branches on the ruminant family tree. Many of the living species are endangered, say the authors, and knowledge of their history, evolution, and basic biology is critical to their conservation.